Produced in-house with our time-tested formulas. Chrome Wash is acid-based. Special surfactant package wisks away dirt and brake dust effort lessly! 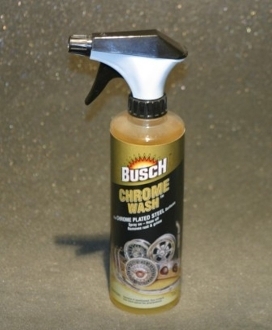 For rusted and road grime covered surfaces such as wheels, exhaust pipes and bumpers. Restores brilliance without scrubbing. Simply spray on rust and grime dissolves; then hose off.